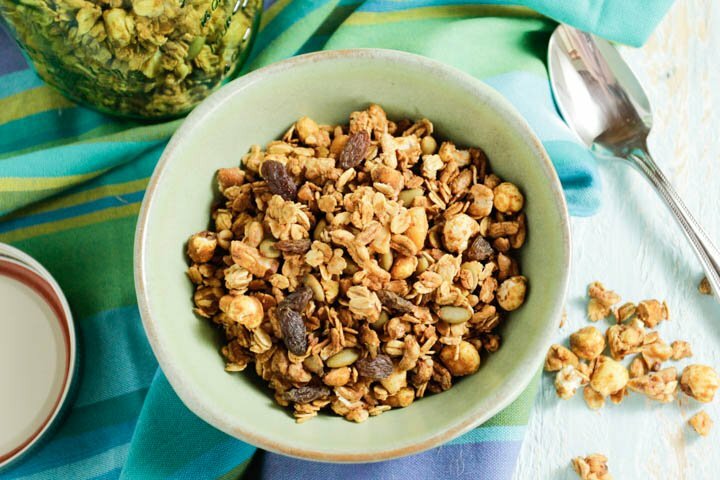 Let’s face it, granola is one of those “go to” snacks similar to trail mix we all love to reach for during our busy days. This Low-Fat Cinnamon Nut Granola will definitely be one of your favorite snacks once you try it. However, this version will not be loaded with fat and sugar like many of the store-bought versions. Not only are most of those commercial granolas unhealthy but they can be expensive too. You won’t believe how easy it is to make from scratch and it doesn’t take long to make. Enjoy a few spoonfuls on your favorite yogurt or mix it with fresh fruit. 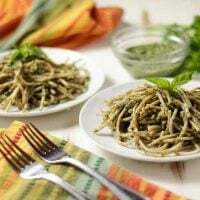 It contains soluble fiber from the oats AND pistachios which have been found to help decrease the risk of cardiovascular disease by significantly reducing LDL (the “bad”) cholesterol levels. Don’t feel guilty about this one. 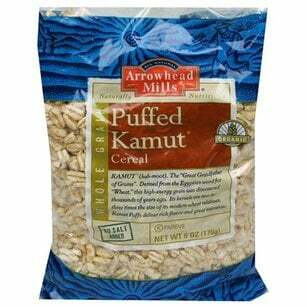 I recently (Aug, 2015) updated this recipe to include whole grain puffed corn and puffed kamut which are easily found at Whole Foods (see photos.) 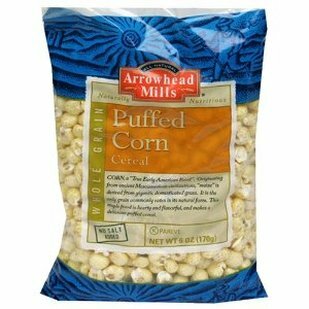 Displayed are the Arrowhead Mills brand but you can stick with just oats, if you like. They shrink down a bit so don’t be afraid of the quantity. 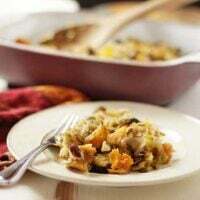 Remember the key with this recipe and others like it are using high-quality, fresh ingredients. 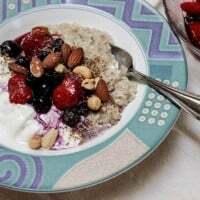 When you are eating snacks like granola and trail mix that are usually eaten raw or slightly baked, it’s important to make sure all of the ingredients are really good quality. Don’t skimp on the nuts and dried fruit, this will come in handy when you take it with you on adventures. This packs well so snack on it when you hike, travel, picnic, family outings or any adventure. The entire family will be reaching for this yummy treat and they won’t miss that clumpy, coated, sugary store-bought mess. Dried apricots or cherries work really well too if you’re worried about the sugar from raisins. I'd love to hear your feedback in the comments below for this Low Fat Cinnamon Nut Granola! If you have a photo, post it on my Facebook page, tag me using the hashtag #plantbasedcooking in your caption, and I won't miss it! You will find yourself making this low-fat cinnamon granola not only for yourself but for the entire family too. It is delicious, healthy and easy to munch on, on-the-go. Measure oats, puffed corn and millet into a large bowl and add nuts. In a separate small bowl, add applesauce, maple syrup, cinnamon, vanilla and sea salt and mix well. Add liquid ingredients to the cereals and stir to combine. Spread on two baking sheets covered with parchment paper. Bake for 30-45 minutes turning every 15 minutes until lightly browned. Add dried fruit (and shredded coconut if using) and stir. 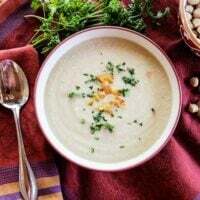 Thank you for providing the Nutrition Facts…very helpful information and great recipes. I am ready to try these recipes. Great, Sandra, glad to meet you and I hope you enjoy them. Let me know if you have any questions.